Let Tulsa TeleSolutions jumpstart your company’s network connectivity. Whether your business or organization is in need of the tools to connect two people or two thousand people, the network connectivity and surveillance technical professionals at Tulsa TeleSolutions are ready to bring your office up to date with telephone, computer networking, and video surveillance systems necessary to keep everyone on the same page. Specializing in structured cabling, wireless networks, business phone systems, and network cameras, Tulsa TeleSolutions provide a central nervous system of network tools to help maximize efficiency in your office. 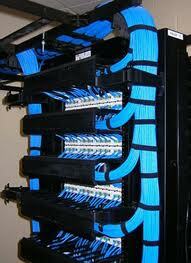 Tulsa TeleSolutions is your source for structured cable systems and wireless networks. While businesses promote the mentality of synergy in the workplace, let Tulsa TeleSolutions provide the necessary network tools to help foster collaborative efforts at the speed of connectivity. 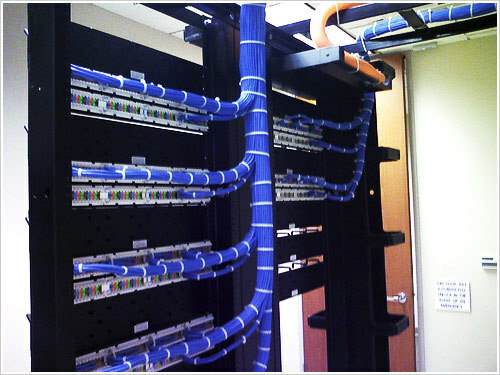 Specializing in structured cabling and Ethernet cable wiring as well as the tools for a wireless workplace, a reliable network for the sharing of data and ideas has never been easier to attain. To keep your cables and wires organized with your network equipment, network racks help keep everything in line to ensure your network remains online. Let us provide the solutions to your networking problems with a network system that best suits your business and office model. Keep in contact with clients and colleagues at the push of button with a phone system from Tulsa TeleSolutions. The key to pooling the efforts of your workforce is communicating information, concerns, and ideas to colleagues and clients alike. With an advanced phone network from Tulsa TeleSolutions, verbalizing information to anyone is at your fingertips. With our vast array of new and used Panasonic phones, Nortel phones, Partner and NEC phones as well as Panasonic phone systems, VoIP phone systems, PBX phone systems, and NEC phone systems, all large to small business phone system needs can be easily met. For fixes to preexisting phone systems and phones, Tulsa TeleSolutions also provides phone repair and telephone wiring so there’s no need to put your telephone system on hold. Don’t miss a minute with a wireless IP camera network from Tulsa TeleSolutions. No matter the size of the business, monitoring activity for the sake of safety, security, or productivity can be a challenging task. Keeping tabs needn’t be a strenuous ordeal with a network of IP cameras capturing the activity inside and outside of the workplace. 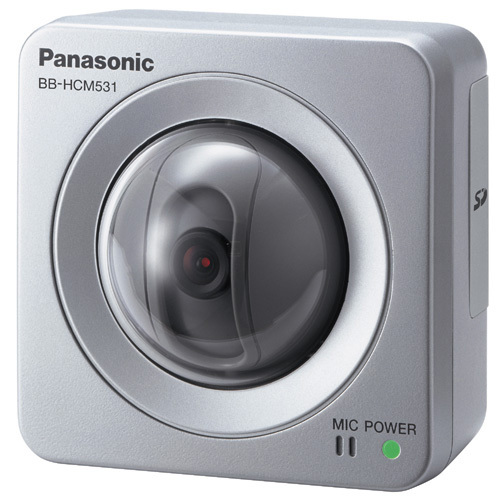 Without fumbling with wires and expanding accessibility, a wireless IP camera can capture and transfer information through a network to anyone with access to the network camera’s signal. From cameras to televisions, Tulsa TeleSolutions’ technical experts also specialize in tv installation with a wide variety of tv mounts to address all television installation needs for business or personal use. From the lens to the screen, Tulsa TeleSolutions is able to fulfill all video surveillance and television installation needs for monitoring from any location. Combine your company’s efforts with the tools for synergy from Tulsa TeleSolutions. Staying connected has never been more important for businesses and organizations; both amongst colleagues and while assisting clientele. Serving Tulsa and the surrounding areas, let the professionals at Tulsa TeleSolutions help boost your company’s connectivity with the tools needed to ensure an ease of communication, transfer of information, and verbalization of ideas within your office walls and to the world.